No Truce With The Furies is a “police procedural RPG” that looks fascinating. 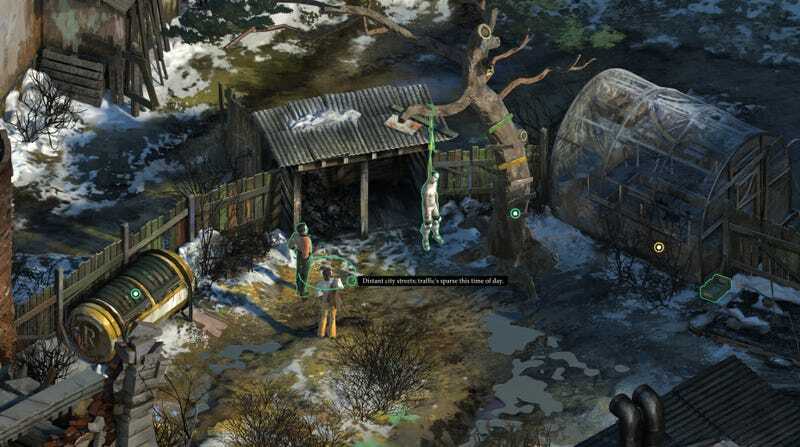 No Truce With The Furies is a “police procedural RPG” that looks fascinating. Dialogue is the focus, and you have an inventory for your thoughts. It takes place in a seaside city, but also there’s disco. The game’s big influences are Planescape Torment and Kentucky Route Zero. It’ll be out later this year. Hat tip to Rock Paper Shotgun for this one.